This Sunday the Missile Defense Agency (MDA) along with U.S. Air Force 30th Space Wing, the Joint Functional Component Command, Integrated Missile Defense, U.S. Northern Command and the U.S. Navy conducted its first successful test of the Ground Based Midcourse Defense (GMD) system since 2008. The test is a major milestone in proving that the GMD is a viable option for the protection of the U.S. homeland from a limited ballistic missiles attack. Yet despite the success of the test, stubborn critics of the system refuse to acknowledge the advances made and the nature of the threat. The national missile defense system is a complicated engineering feat that demands regular testing. While intercept failures may be discouraging, it is important to note that the data collected presents an opportunity to correct the issues that caused those failures. While some would call the threat of a ballistic missile attack by North Korea “exaggerated”, there is currently no reliable way to measure just how advanced that threat is. Failing to plan for the worst could prove disastrous. 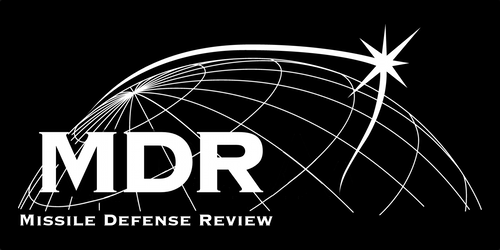 As discussed in a previous MDR article, many of the technical difficulties the GMD system has faced have occurred as a result of a rushed deployment. In order to respond to the rapidly emerging ballistic missile threat posed by North Korea, the Bush administration made the decision to deploy the system on a political timetable rather than a technical one. The result was a system that did not adhere to proper engineering or testing cycles. Two tests of the CE-II kill vehicle (FTG-06 and FTG-06a) failed to intercept their targets. According to a Government Accountability Office (GAO) report, this was due to “excessive vibration in the inertial measurement unit–a component of the kill vehicle’s guidance system. As a result, MDA halted deliveries of the remaining CE-IIs until the failure was resolved.” Further eroding confidence in the GMD system was the surprise unsuccessful intercept attempt of FTG-07, which was the first generation CE-I kill vehicle. Upon examination, it was determined that FTG-07 did not intercept its target due to a failure to separate on the final stage of the GBI rather than the actual CE-I kill vehicle itself. Given this string of unsuccessful tests, it is easy to see why some would have reservations about the reliability of the system. In regard to the CE-II interceptor, despite the success of Sunday’s test some critics suggest that one intercept out of three, or a success rate of only 33%, is hardly a cause to celebrate. While those statistics do indeed sound grim, this perspective fails to acknowledge the advancements made in reversing the difficulties current leadership has inherited from predecessors due to poor decision-making. Rather than dismiss national missile defense system as a failure, this weekend’s test should highlight the critical need for regular testing. Given the ambitious engineering goal of attempting to hit a bullet with a bullet, it should not come as a surprise that this system would run into technological challenges. Even a test that fails to yield an intercept provides useful data to diagnose and correct issues with the interceptor that lead to the failed intercept. As evidence, MDA has worked to solve the engineering issues with the CE-II after two failed intercept attempts. This experience should make it obvious that we must test these interceptors more often to continue to work out any technical issues in the system. In addition to the advancement of the North Korean missile program, the regime also continues to make progress on its nuclear program. An article earlier this year from Reuters suggests that North Korea “may be closer than previously thought to putting a nuclear warhead on a missile.” While expert opinion on the status of North Korea’s ability to attack the U.S. homeland varies, there is no dispute that the threat exists. To suggest that the North Korean threat is exaggerated or not a near term concern would require intimate knowledge of the inner workings of the least transparent regime in the world. Therefore, it is impossible to say with any real certainty how advanced the threat of a ballistic missile attack against the United States is. Defense planning requires preparation for worst-case scenarios, which in this case would be an unexpected missile threat from North Korea. Risking the nation’s protection from an ICBM attack based on the notion that North Korea does not pose a near term threat could prove to be disastrous. It is critical that the missile defense system the United States has fielded is fully realized and that development of the next generation kill vehicle is pursued to stay well ahead of any threat on the horizon. The continuity and centrality of the Soviet threat has been replaced by a kaleidoscope of opponents, threats and potential threats. U.S. deterrence goals and priorities correspondingly have become more varied both in the target audiences and the scope of actions to be deterred. A factor contributing to the contemporary uncertainty about the functioning of deterrence is the need to know so much about so many diverse opponents, e.g., the goals, values and decision-making processes of “rogue” states and terrorist organizations. In such a dynamic geopolitical environment no possible formula can define the set of U.S. forces to be “locked in” as adequate for deterrence. Given an unpredictable and secretive adversary such as North Korea, relying on a “one-size fits all” strategy to deterrence may not be the best approach. A strategy to prevent an attack on the U.S. homeland must include contingencies in the event that deterrence fails, which includes a robust national missile defense system. Sunday’s successful test is an indicator that the GMD is on a path to validating the investment made in the system after disappointing failures. Today there is a sound plan in place to correct mistakes from the past and make the GMD a viable system capable of protecting of the nation. Under the leadership of Vice Admiral Syring, MDA has made significant progress in increasing the reliability of the national missile defense system. Sunday’s test demonstrated the agency’s ability to discover and correct past engineering mistakes. Additionally, the FY15 MDA Budget Request calls for a number of forward thinking enhancements to the system. These include $99.5 billion for the re-designed EKV and $79.5 to begin development of the Long Range Discrimination Radar. While good stewardship of increasingly rare defense dollars is critical, these comparatively modest investments along with currently deployed interceptors will help ensure that the United States is protected from a near term and future threats. Strong leadership, improved capabilities, and adequate funding are all critical components in making the GMD system a reliable tool for reducing the threat posed by ballistic missiles in the hands of unpredictable rogue states. Watch the Missile Defense Agency’s Flight Test 06b (FTG-06b) Ground-Based Interceptor launch from Vandenberg Air Force Base, California and successfully intercept its target. Abel Romero is the Director of Government Relations at the Missile Defense Advocacy Alliance and one of two William Van Cleave Missile Defense Scholars. This entry was posted in Asia, Ground Based Midcourse Defense System and tagged Exoatmospheric Kill Vehicle, GMD, Hwaseong-13, Integrated Missile Defense, intercontinental ballistic missile, Joint Functional Component Command, KN-08 missile, Long Range Discrimination Radar, Missile Defense Agency, North Korea, Nuclear Deterence, Taepo Dong II, U.S. Air Force 30th Space Wing, U.S. Navy, U.S. Northern Command. Bookmark the permalink. We will never satisfy the staunch critics. Even if you intercept a North Korean missile, they will still grumble disparaging remarks. Keep up the good work and for making our world safer.